Each year, a new Resident Student Association Executive Board is elected. Each Executive Board member serves as a liaison to a Hall Council. Each member also oversees Hall Council positions that work under the scope of their position. Below you can find short bios of each of our Executive Board members, as well as their contact information and office hours. 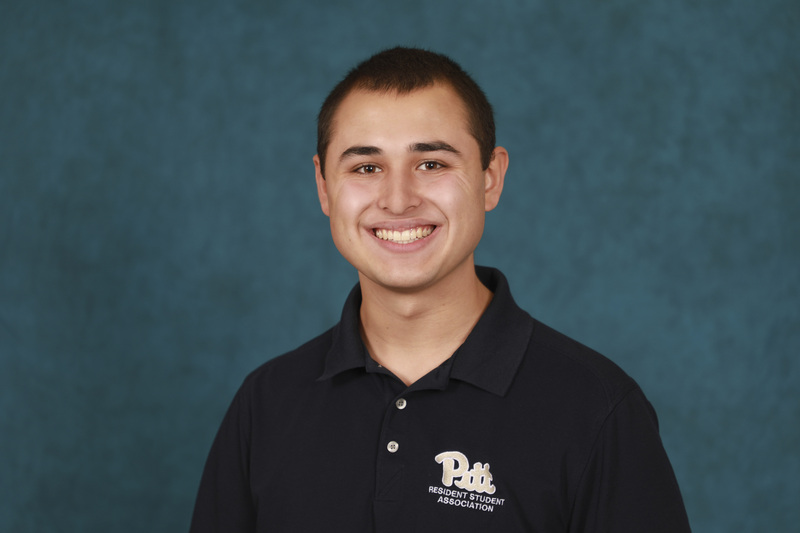 Sam is a sophomore majoring in Economics and Statistics. 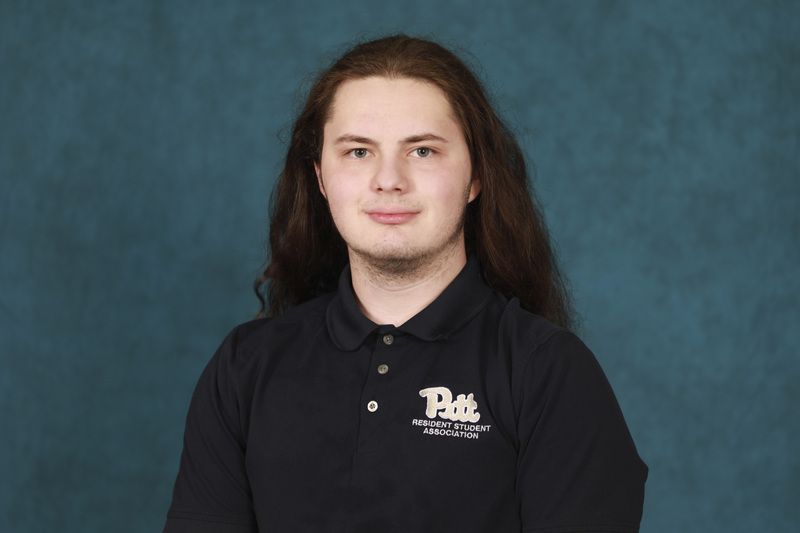 He is from West Deer Township, PA. Sam can name every country in the world and its location. His favorite RSA memory is serving as the President of the Sutherland Hall during his freshman year. Sam is also involved in Cornerstone Campus Ministry at Bellefield Presbyterian Church. He serves on the Freshmen Ministry Team, leading a weekly Bible study every Thursday night. 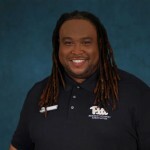 In addition, he is the on the Academic Affairs Committee for Student Government Board. Sam oversees Hall Council Presidents. 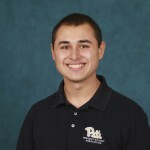 Samuel is a sophomore studying Finance and Political Science. He is from Cleveland, Ohio. In high school, Samuel qualified to the State track meet in the 800m race. His favorite RSA memory is Haunted Holland and Nightmare in the Quad. 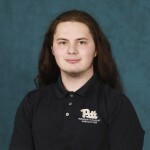 Samuel is also a member of Panther Equity as a Senior Analyst and a Varsity member of the Pitt Parliamentary Debate team. Samuel oversees Hall Council Vice Presidents and Secretaries. 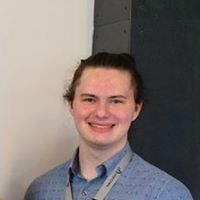 Dan is a second-year majoring in Math, Computer Science, and Economics, while pursuing minors in Chemistry and Spanish. He is from McMurray, PA. Dan works as a blacksmith when not in Pittsburgh. 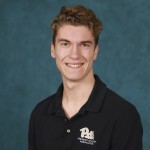 His favorite RSA memory is hosting a semi-formal in the Perch as a fundraiser for PDM. Dan is also involved in Math Club and Computer Science Club. Dan oversees Hall Council Treasurers. 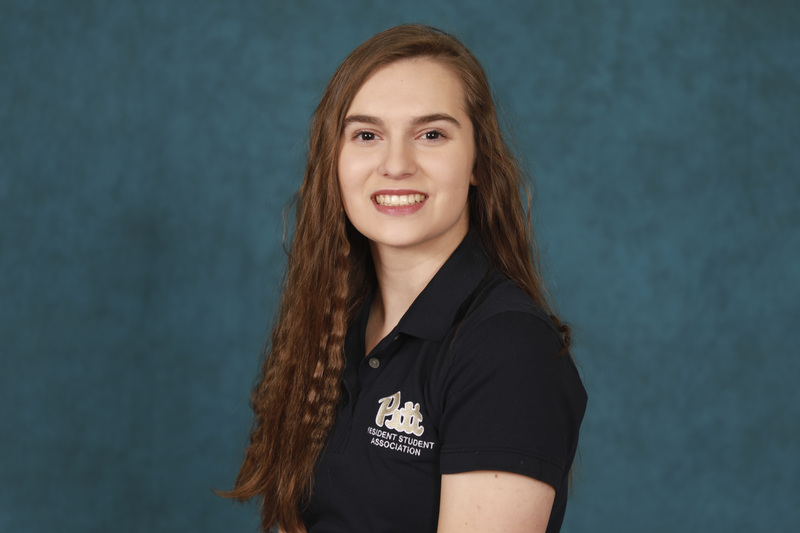 Samantha is a sophomore majoring in Administration of Justice with a Russian and Eat European Studies Certificate. She is from Minersville, PA. Samantha loves dogs since she has a 9 year old Dachshund/Beagle mix named Murry. Her favorite RSA memory is participating in NAMO, it is her favorite on campus event! Samantha is also involved in CHAARG and a member of Phi Eta Sigma. Samantha oversees Hall Council Programming Chairs. 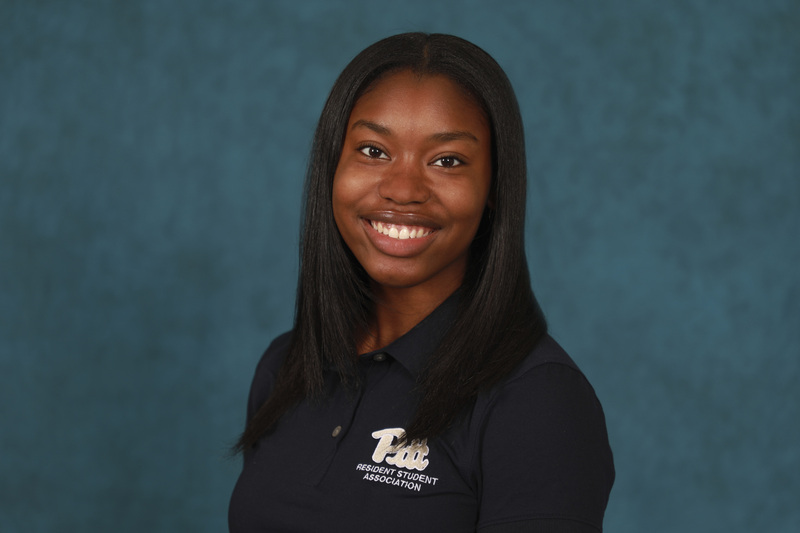 Rhea is a sophomore double majoring in Economics and Psychology. She is from Delhi, India. Rhea loves to travel and wants to go backpacking around Asia. Her favorite RSA memory is the day of the Tower A cancer walk. 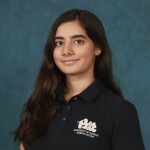 Rhea is also a member of the Hindu Student Council and an associate member of Best Buddies. She is also a part of the Service to Others Living Learning Community. Chadé is majoring in Psychology and pursuing a Global Studies certificate. 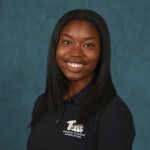 She started in RSA as the Holland Hall Recognition Chair, and from there chose to run for her current position on the Executive Board. 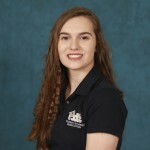 She is also involved in the National Residence Hall Honors society, Lambda Sigma sophomore Honors Society, Psychology Club and volunteers at the Day One Project. 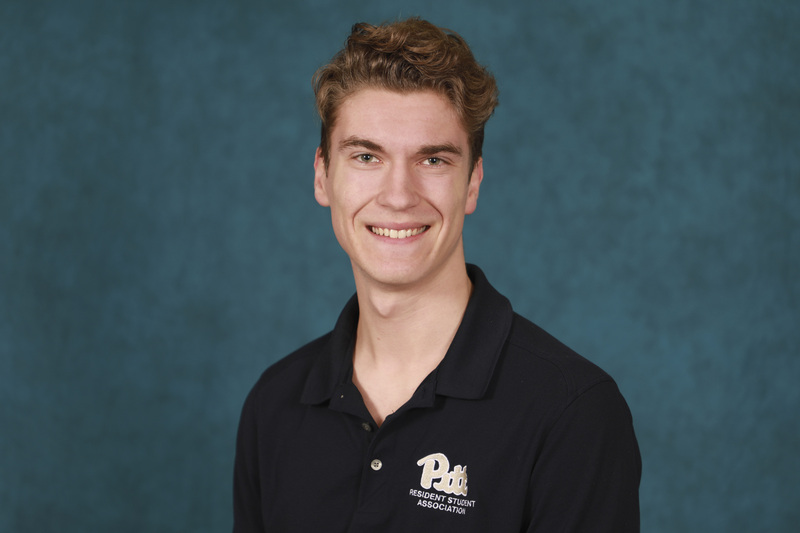 Chadé oversees Hall Council Public Relations Chairs and Recognition Chairs. 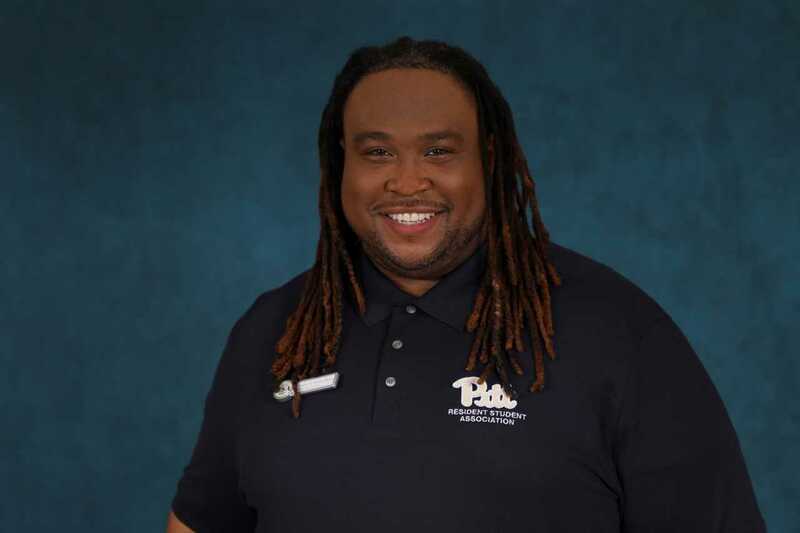 DaVaughn serves as the Assistant Director for Residential Programming in Residence Life and Advisor for the National Residence Hall Honorary. He loves to cook, entertain, and laugh. His favorite pastime is to go to the movies with friends, and he is always up for creating new flavor combinations. Our office is located in the Litchfield Towers Lounge. We do NOT share office space with the Department of Residence Life, located in 935 WPU. We can also schedule meetings outside of our office hours. To do so, please contact us directly. Advisors should be contacted via e-mail to schedule individual appointments. 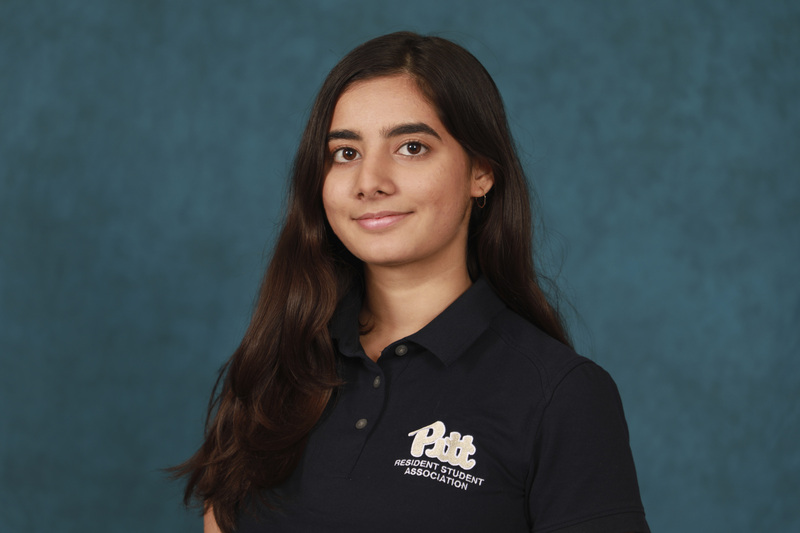 For general questions, please e-mail us at rsa@pitt.edu.